Even before its opening, the trade show’s 7th edition indicates outstanding growth. Munich, 7 July 2015: Four months before the expert trade show for granules, powders and solids technologies is scheduled to open, 425 companies have already booked – nearly 10% more than last year. Halls 4, 5 and 6 in Dortmund are already sold out; show organiser Easyfairs is expanding the show into Hall 7. 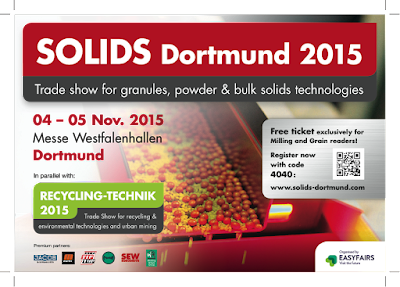 SOLIDS will take place on 4 & 5 November 2015 in the Messe Westfalenhallen Dortmund. The 7th edition will again be complemented by RECYCLING-TECHNIK Dortmund 2015, the recycling and environment technologies show, as well as the Urban Mining conference. For the first time in the show’s history it will cover four exhibition halls. The newly-opened Hall 7 will be devoted thematically to suppliers of recycling and solids technology: crushing machinery, packaging and storage systems, sorting and conveying machinery, shredders and crushing equipment, and separation and processing technologies for recyclable materials. In total, the show organiser expects over 450 exhibitors at the event in November, covering the entire spectrum of process engineering in solids and recycling technologies. 75% of the exhibitors from 2014 have already re-booked for the upcoming show. In addition, a number of new enterprises have joined their ranks, including: Ambros Schmelzer, B&F Metallbautechnik, Dustcontrol, Erhard Muhr, Eriez Europe, F&D Wägetechnik-Waagenbau, HSM, Intensiv-Filter, Kloska Group, Köllemann, Komptech, Mahle Industriefiltration, Orbinox, Otto Ganter, Schreier Maschinen+Apparatebau, ReSiTec, RMS, Rosenbauer International, Sigma Maschinenbau, steute Schaltgeräte, Tedima, Stokkermill, Sympatec, Vautid, Wrights Recycling Machinery and many more. In addition to the exhibition, a rich show programme will offer more than 100 lectures taking place in open forums, the so-called “InnovationCenters” and “SolutionCenters”. In-depth seminars will also be held within the framework of two expert conferences running in parallel with the exhibition: the 2nd German Fire and Explosion Protection Congress and the 6th Urban Mining Congress. Cooperation partners of this year’s show are Martin Engineering GmbH, Rema Tip Top West GmbH, Rembe GmbH Safety & Control, SEW-Eurodrive GmbH and Welding Alloys Deutschland GmbH. Within the last 9 years, SOLIDS Dortmund has established itself as a fixture in the diaries of industry professionals. It has become the most important business and innovation platform for solids technologies in Germany. The range of the exhibition spans the entire value chain of process engineering for bulk solids and powder technologies. On display are machinery and techniques for incoming goods as well as the handling (sieving, filtering, agglomerating, dosing, weighing) and processing (crushing, cooling, heating, milling, mixing, disaggregating) of solid goods, through to in-house mechanical or pneumatic conveyance and procedures for filling, packing, storage, transport and shipment. Solids technologies are important to such diverse industries as food and drinks, chemicals, pharmaceuticals, cosmetics, plastics, metals, logistics, agriculture, construction and mining. Topical specialists and procurement professionals will find machinery, components and complete solution systems. The show is held every 18 months. In 2014, 393 exhibitors and approximately 5,000 visitors participated in the show. Artexis Easyfairs enables professional and private communities to “visit the future” at must-attend events that anticipate their needs and present solutions in the ideal format. Under the brand name Easyfairs the Group currently organises 125 events in 16 countries (Austria, Belgium, Canada, Denmark, Finland, Germany, The Netherlands, Norway, Portugal, Russia, Singapore, Spain, Sweden, Switzerland, the UAE and the United Kingdom). In the DACH region alone, Easyfairs organises Automation & Electronics (Lausanne and Zurich); Empack (Hannover and Zurich); Label&Print (Hannover and Zurich); labotec (Lausanne); Maintenance (Dortmund, Hamburg, Stuttgart, Wels and Zurich); Packaging Innovations (Hamburg, Vienna and Zurich); and Solids (Dortmund, Basel and St Petersburg). Doing business as Artexis the Group manages eight events venues in the Benelux and Nordic regions (Ghent, Antwerp, Namur (two venues), Mechelen, Mons, Stockholm and Malmö). In the most recent fiscal year, the Group employed 420 people and generated revenues of over €100 million. Artexis Easyfairs strives to be the most adaptable, agile and effective player in our industry by employing committed individuals, deploying the best marketing and technology tools, and developing strong brands. Visit the future with Artexis Easyfairs. This year, Kansas Wheat is proud to announce the winners of the 6th Annual Wheat Yield Contest. This year’s top wheat yields belong to Doug Queen of Rossville, Eastern Region winner; Darren Nelson of Hutchinson, Central Region Winner and Darwin Ediger of Meade, Western Region Winner. Doug Queen is this year’s Eastern Region winner. Queen was encouraged to enter this year’s contest by Doug Keas, last year’s Central Region and Quality Initiative winner. Queen’s winning plot was 11.94 acres planted with Armour (WestBred) and resulted in a yield of 70.3 bushels per acre. 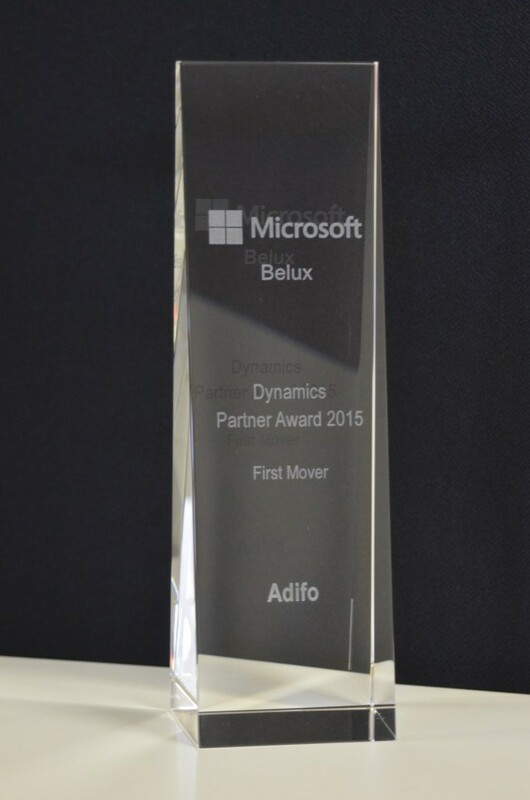 Adifo has received the Dynamics First Mover 2015 award from Microsoft Belgium. This much coveted award was presented to our delegation at Microsoft’s worldwide partner conference in Orlando. The 2015 Microsoft Worldwide Partner Conference (WPC) is Microsoft’s largest event for partners. No other conference brings together so many of the leaders and visionaries in the Microsoft partner ecosystem. With hundreds of sessions—keynotes, breakouts and interactive presentations it is the ideal opportunity to expand Microsoft’s vision and network to provide customers with better solutions. The award, presented to Adifo during this conference, is a recognition for Adifo’s commitment to the Dynamics AX product, international expansion and continued commitment to the cloud. It is a reward for Adifo’s vision and hard work and an important step towards winning the Microsoft Country Partner of the year award. CHICAGO, July 21, 2015—Archer Daniels Midland Company (NYSE: ADM) announced today that it has purchased a stake in Agrible, Inc., a leader in predictive analytic tools that deliver field-specific data and forecasts to aid decision-making in the field. 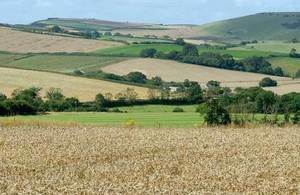 Simpler and fewer farm inspections plus an overhaul of greening requirements were amongst a list of changes to the Common Agricultural Policy (CAP) Environment Secretary called for from EU Agriculture Commissioner Phil Hogan on Monday 20 July. While welcoming recent moves to make it easier for UK farmers to meet CAP rules, the Secretary of State told the Commissioner at the Royal Welsh Show that there is still more to do to reduce the burdens of the current scheme. More flexibility for each country to adopt EU guidance in ways that reflect their national circumstances. Allow more forms of evidence such as geo-tagged photography and satellite imagery to be used to check that farmers are meeting requirements. Simpler inspections to reduce the burden on farmers, including a reduction in the number of inspections to check Ecological Focus Areas and a reduction in the overall number of CAP inspections. An overhaul of the greening requirements, including scrapping the ineffective ‘three crop rule’ which requires farmers to plant three different crops each year. A refreshed EU fruit and vegetables scheme to support growth of the horticulture industry and encourage more growers to join producer organisations. The revised scheme would be simpler to administer and help growers secure new export opportunities. In addition, the Secretary of State called for a review of the EU’s system for controls – known as the Integrated Administration and Control System (IACS) – resulting in a more pragmatic and proportionate approach to inspections, checks and penalties. This would reduce the risk of farmers facing severe penalties for minor errors. Food and farming is a thriving sector in the UK but the potential to further grow this sector is being held back by overly complicated and bureaucratic rules within the Common Agricultural Policy that our farmers have to follow. That’s why I am continuing to push the Commissioner to look at further ways to simplify the regulations, including reducing the number of farm inspections, guidance that’s easier to follow and scrapping the ineffective three crop rule. This is part of our commitment to do everything we can to help our farmers grow more, sell more and export more. Commissioner Hogan is expected to set out the next set of simplification proposals of the Common Agricultural Policy in the autumn. Three improvements the UK requested formed part of the Commissioner’s initial tranche of changes. These include giving farmers more choice of hedgerows on their land that can be used to meet greening requirements, and making it easier for the Rural Payments Agency to process farmers’ claims by removing the requirement to have detailed maps of landscape features such as hedges which are not used by claimants to meet the Ecological Focus Area requirement. MINNETONKA, Minn., U.S.A., July 16, 2015 – Syngenta today announced an agreement with Chief Agri/Industrial Division to provide Enogen corn growers rebates on grain bins and other equipment. A growing demand for high ethanol-yielding grain is creating the potential for corn growers to increase their income per acre. Earlier this year, Syngenta introduced the Ethanol Grain Quality Solution (EGQS), an initiative that includes agronomic protocols and best practices specifically designed to contribute to higher yields, improved grain quality and more ethanol per bushel. Stiffened bins from Chief Agri/Industrial Division have long been used as an integral component of commercial grain-management systems. Now, they are available in sizes ideal for use on farms, offering all the features that have created the Chief reputation for superior strength, durability and ease of installation. Greater access to technology and expertise from Chief, a leader in grain-handling solutions, will enable Enogen growers to provide ethanol plants with more high-quality corn while helping to ensure the stewardship of Enogen grain. Enogen growers are required to follow specific, yet simple stewardship guidelines to receive a 40-cents-per-bushel (on average) premium. These guidelines include planting non-Enogen border rows around an Enogen cornfield, cleaning out planters and combines, and dedicating bin space for all Enogen grain. For more information about Enogen® corn enzyme technology, visit www.Enogen.net. Join the conversation online – connect with us at social.SyngentaUS.com. Syngenta is one of the world’s leading companies with more than 28,000 employees in over 90 countries dedicated to our purpose: Bringing plant potential to life. Through world-class science, global reach and commitment to our customers, we help to increase crop productivity, protect the environment and improve health and quality of life. For more information about us, please go to www.syngenta.com. 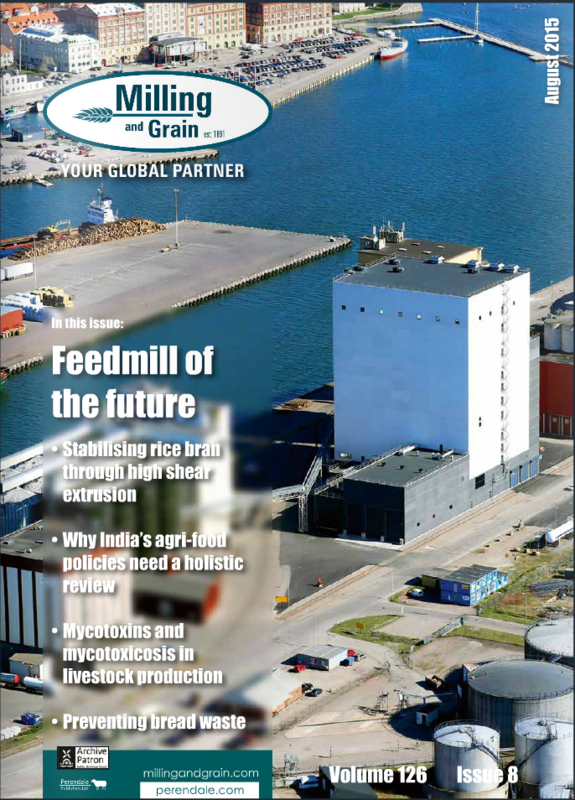 Chief Agri/Industrial Division originated in 1961 and has grown to offer a full line of grain and commodity storage, aeration and material handling products throughout the world. The success of our company is directly due to the strong relationships we have created with our customers. Listening to their needs has led to innovative products that help producers minimize storage costs, protect the quality of their product, and maximize the selling price of their commodities. For more information about us, please go to https://agri.chiefind.com/about-us/. Munger: Three minors were killed on the spot while five others were seriously injured on Monday afternoon when the boiler of a mobile flour mill burst at Kachahari Das Tola village under Kutlupur gram panchayat under Munger Mufassil police station on the northern side of Ganga, about 20 km Munger. 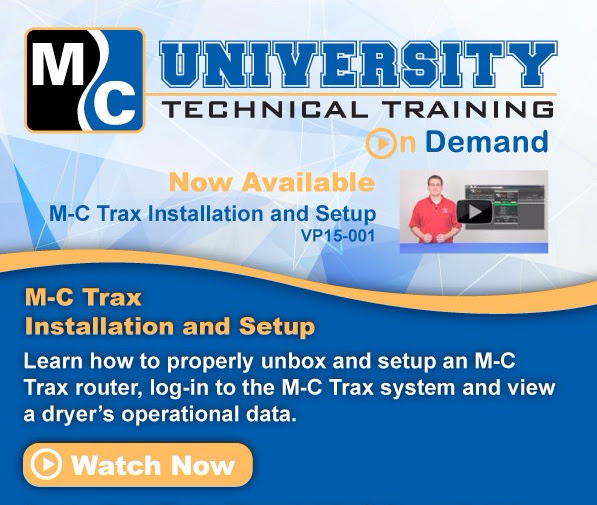 Crystal Lake, IL – Mathews Company (M-C), a global manufacturer of grain dryers, is launching a series of video tutorials on its website and YouTube® channel as an extension of its M-C University Technical Training program. The purpose of these videos is to provide technical guidance “on demand” and address frequently asked questions by both dealers and end-users. M-C University currently offers ongoing technical training for its dealers’ service and sales personnel. Expanding the training to include video tutorials that will be available all hours of the day was something dealers felt would be extremely important and helpful to their customers, according to Joseph Shulfer, President of Mathews Company. “While dealers will continue to work with end-users directly to resolve service issues, they overwhelmingly said such videos would be a helpful supplement to the service they are committed to providing their customers,” says Shulfer. The format of the videos will focus on one specific topic in a 4-6 minute segment, and will include topics such as: setting up and installing M-C Trax (M-C’s remote monitoring system), performing a software update as part of a pre-season check-up and calibrating a moisture sensor. The video tutorials are produced at M-C’s in-house video production studio are managed by Mike Wilke, Director of Engineering and Support Services. “We started with this past season’s most common technical service questions, and created a list of videos that would be most helpful to our dealers and customers. Since we can produce these videos in-house and show quick demonstrations with the equipment, the videos can come together quickly,” says Wilke. M-C plans to release a new video topic each week leading up to the busy fall harvest. Headquartered in Crystal Lake, IL (U.S.A), Mathews Company has been a leading global manufacturer of high quality innovative agriculture equipment, since 1954, specializing in grain drying. through innovation, expertise and quality. M-C dryers are available through authorized dealers worldwide. The company’s web site is www.mathewscompany.com.